Cloud storage services like Dropbox, Google Drive and OneDrive provide a desktop client app to make it easy for you to access your cloud files. However, installing an official client of a cloud storage service is not too good idea if you have a laptop with a low storage capacity. The official desktop client of a cloud storage service works by syncing your cloud files to desktop. It brings the actual cloud files to local storage, which also means take your local storage space. The official desktop client app of a cloud storage tends to ideal for a backup need. Is there a way to access cloud files without downloading the actual files to local storage? Of course. There are some tools out there which you can use to mount cloud drive account as local drive. We have just reviewed CloudMounter, one of the tools that allows you access cloud files via file manager without downloading the actual files. In addition to CloudMounter, there are several other tools with the similar functionality. Following are 4 tools to allow you access cloud files without downloading them to local storage. As mentioned, one of the tools that allows you to access cloud files without downloading the actual files to local storage is CloudMounter. This tool supports popular cloud storage services like Google Drive, OneDrive and Dropbox. It even also supports Amazon S3 and Wasabi. You can use CloudMounter to mount multiple cloud drive accounts of the same storage service. For instance, you can mount two or three Dropbox accounts. CloudMounter itself is available for Mac, Windows and Linux. 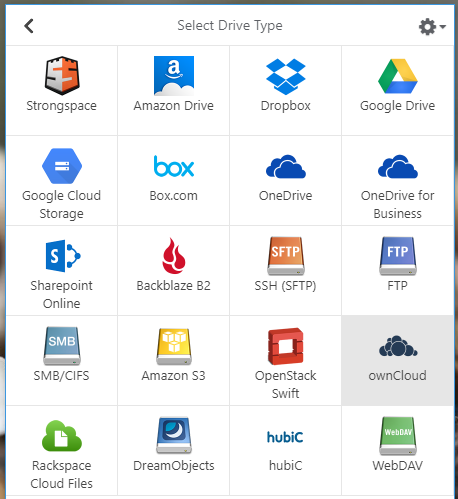 Once you have connected and mounted your cloud drive accounts, they will be able on the file manager app of your operating system as new local drives. ClouMounter itself is a premium app, but you can try it for free for 15 days. RaiDrive also has the same functionality as CloudMounter. It allows you to mount your drive accounts as local drives so you can access your cloud files directly via file manager without needing to back and forth to web browser. RaiDrive also only give you a remote access to your cloud files. It doesn’t download the cloud files to your local storage. RaiDrive supports a wide range of cloud storage services like Google Drive, Dropbox and OneDrive. It also allows you to mount multiple accounts of the same cloud storage service. The best thing about RaiDrive is that it is available for free. Unfortunately, RaiDrive is only available for Windows. ExpanDrive supports more cloud storage services than two first tools above. You can use it to mount your cloud accounts on Dropbox, Google Drive, OneDrive, Amazon S3 to less popular cloud storage services like box and hubiC. This tool also supports multiple accounts for the same cloud storage service. ExpanDrive is available for Windows and Mac. Linux version is also available, but it (at the time of writing) still in the beta phase. You need to email ExpanDrive to test the Linux version of ExpanDrive. ExpanDrive itself is a paid tool. Trial version is available in case you want to test it first before buying. 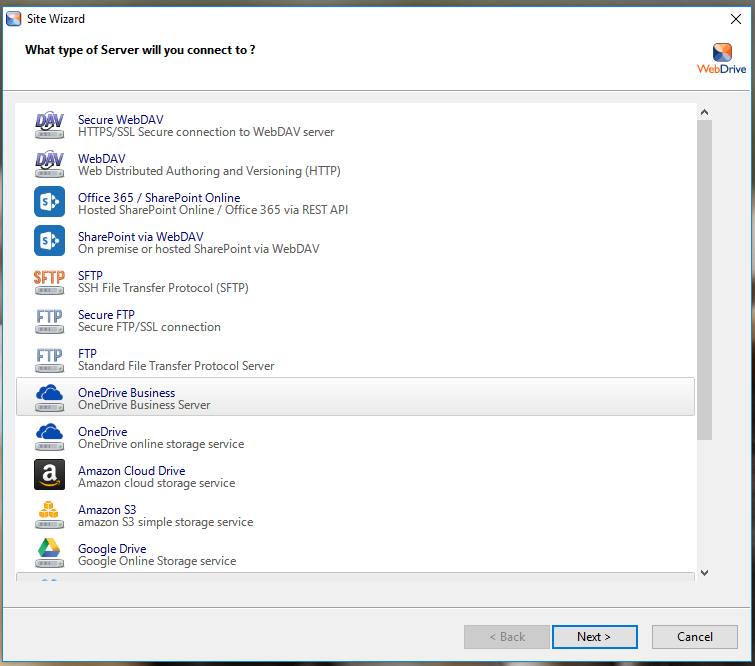 Same as tools above, WebDrive also provides a remote access to your cloud files. 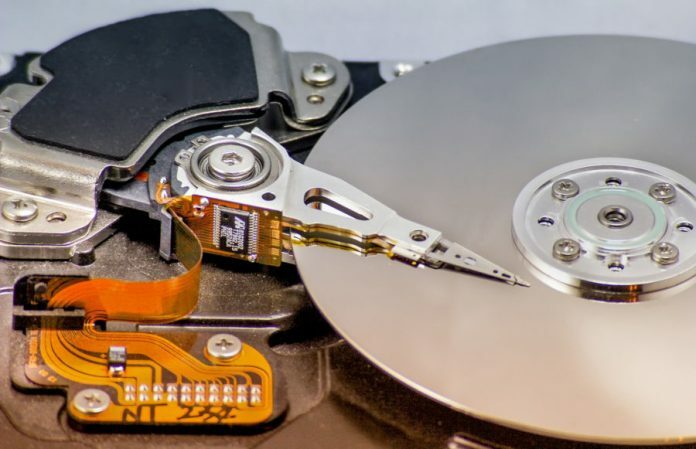 With this tool installed on your computer, you can mount your cloud drive accounts as local drives to access your cloud files via file manager of your operating system. 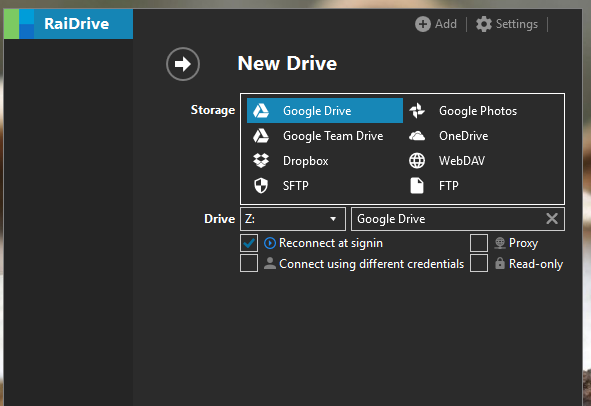 WebDrive itself supports popular cloud storage services like Google Drive, Dropbox, OneDrive, to Amazon S3. Less popular cloud storage service like box is also supported by WebDrive. WebDrive itself is a premium app for Mac and Windows. Trial version is also available.